Cyclamen africanum is from Algeria and surrounding areas. 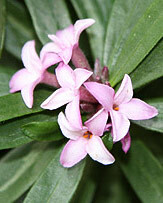 Generally not a very hardy plant and frost is a problem, very similar to C. hederfolium in looks, but not in hardiness. This is a cyclamen that tends to sprout from 'all over' rather than just the top. the foliage is a thicker type and regarded as slightly more brightly coloured. 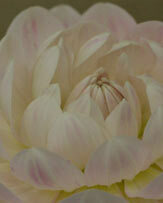 It is the foliage that is the main attraction, wonderful marbled and veined patterns. The flowers or Cyclamen africanum appear before the foliage. 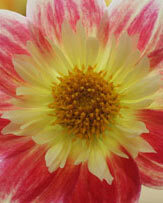 Flower colour ranges from pale to deep pink. Lots of sun, but try to avoid hot afternoon sun. When the plant goes dormant keep dry. As an indoor plant Cyclamen africanum has more to offer than its close relative C. hederfolium. 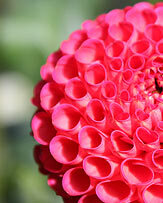 Its foliage is more brightly patterned and it sends new growth from the centre of the tuber, so it just looks better when in flower. 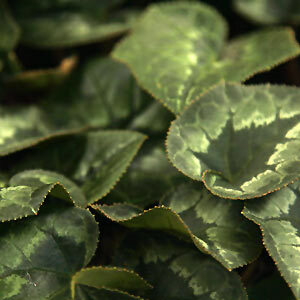 In the UK Cyclamen africanum best grown indoors, on a patio or in a conservatory, so pot culture is the way to go. It flowers in the autumn and this is when it requires a little water and fertilizer. Summer is its dormant period, so withhold water until the end of summer and recommence early in autumn.